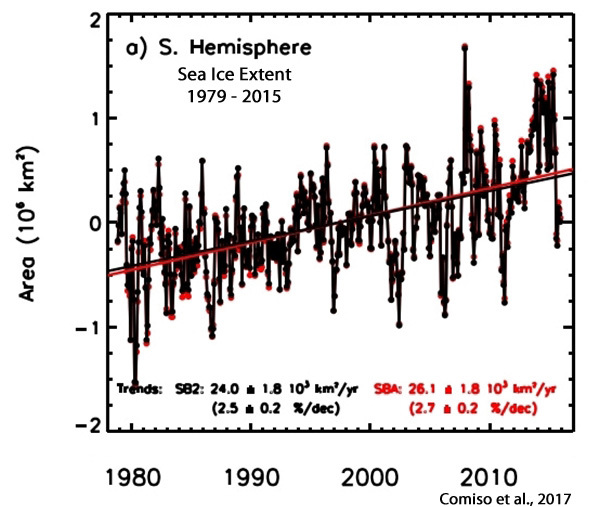 Despite all the alarmist claims of an Antarctic meltdown, it is well known that the trend for sea ice extent at the South Pole has been one of growing ice rather than shrinking ice over the past 4 decades. Naturally many factors influence polar sea ice extent, such as weather patterns, winds, ocean currents and sea surface temperature cycles. One factor of course is also surface air temperature, which according to global warming theorists is rising globally. Yet data show the warmer surface temperatures are refusing to happen in Antarctica! As you will read below, it was far warmer 100 years ago. Chart: Bureau of Meteorology, Commonwealth of Australia. Showa and Davis, however, are just two stations at the edge of a vast continent. We certainly don’t want to be cherry-picking. 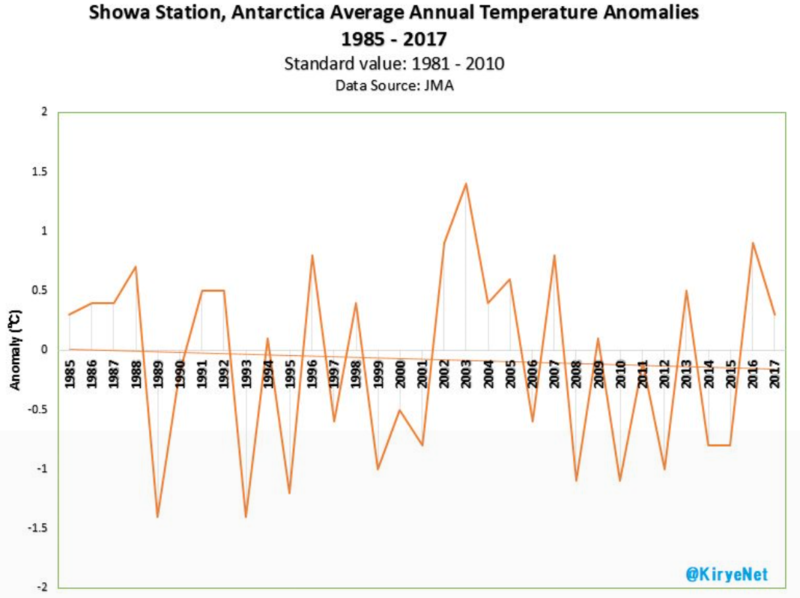 Climate Trends site here looked at 13 stations across Antarctica that go back some 50 years or more: The site concludes: “that apart from at the three stations located on the Antarctic Peninsula, none of the records at the other ten stations show any consistent trend to either increase or decrease significantly over the past 50 years”. 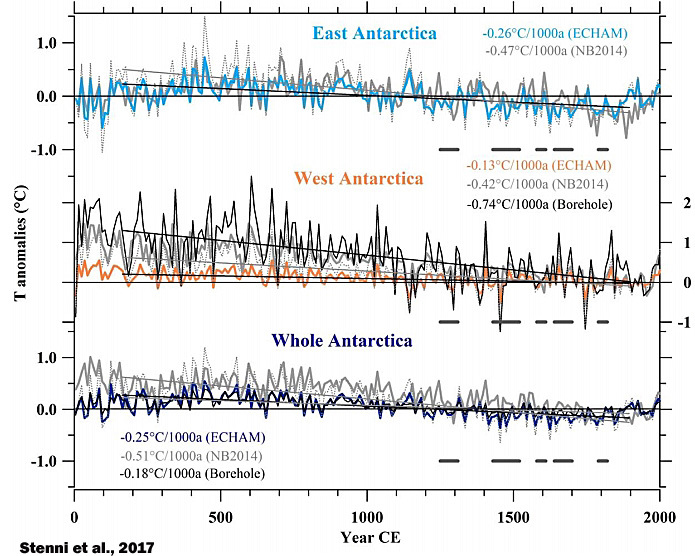 Climate Trends notes that three stations located on the Antarctic Peninsula have increasing temperatures over the past 60-70 years and that it’s possible they are affected by changing wind patterns, ocean currents or volcanic activity. 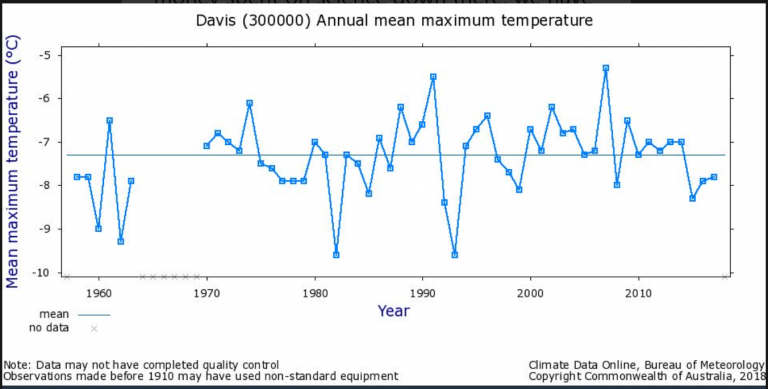 Kenneth also noted that the 1911/12 temperature anomalies reached “greater than 10°C”. Imagine the media hysteria if such warmth happened today. The many climate neurotics out there would be shrieking, demanding a state of emergency.